Coral Bay, St. John. $650/week. Enjoy world-class beaches, hiking & restaurants. This cottage will save you $650 because of its central location. Within easy walking distance to the VITRAN Bus – No need to rent a vehicle! 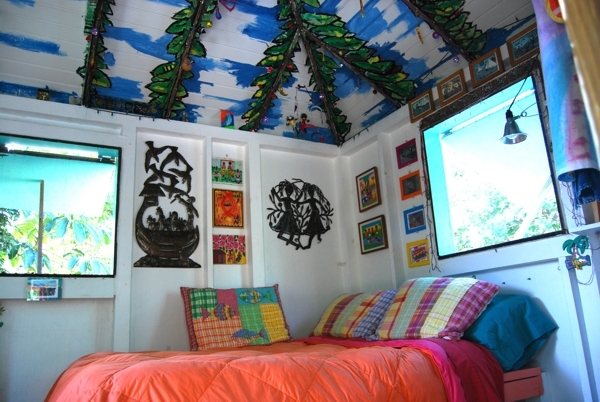 This Caribbean cabana, also affectionately known as the Christmas Cottage, offers the intrepid traveler an unforgettable St. John experience. Nestled comfortably on the valley floor of Coral Bay village in a quiet residential neighborhood, the cabana presents rustic simplicity, with irresistible Caribbean charm. The Cabana has been a ‘honeymoon’ cottage to the owners for the last five years while they constructed the main house on the property. 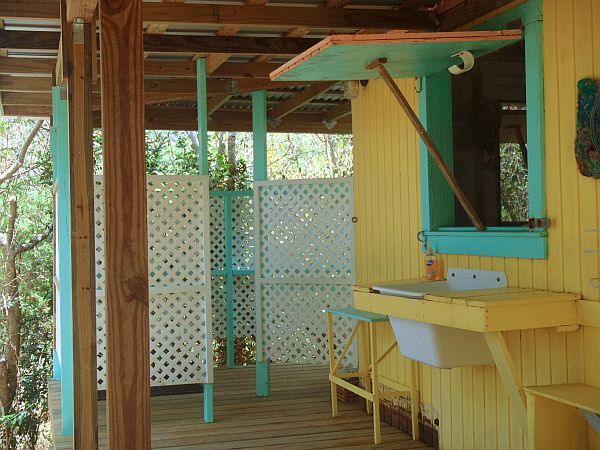 Cozy yet airy, the cabana makes available all the outdoor living experience of camping with the convenience of electricity, refrigeration and laundry facilities. 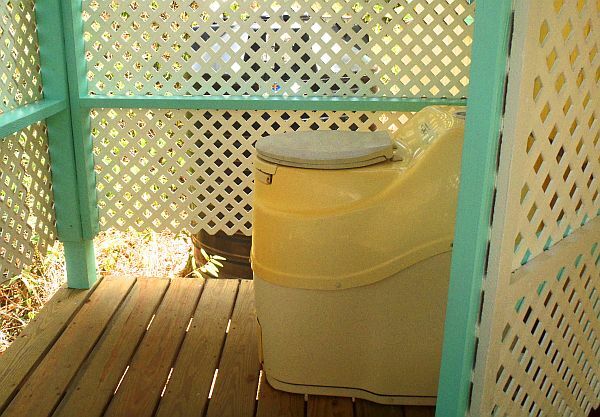 Situated on the level ground makes for easy access and parking. Local grocery store, mail service, restaurants, includes local landmarks, Skinny Legs, and Aqua Bistro. Enjoy plenty of nightly entertainment a simple 5-minute walk away. Yoga classes convene several times a week at the Agricultural Pavilion, a short walk from the house. Or if Pilates is your preference, classes are available at the same convenient location. Catch the VITRAN to world-class beaches for the day, or hike the many trails on the eastern end of St. John. Head to the bustling town of Cruz Bay via the VITRAN for a dollar. Bars and restaurants, quaint boutiques and island ferry opportunities are all conveniently located to the cabana. 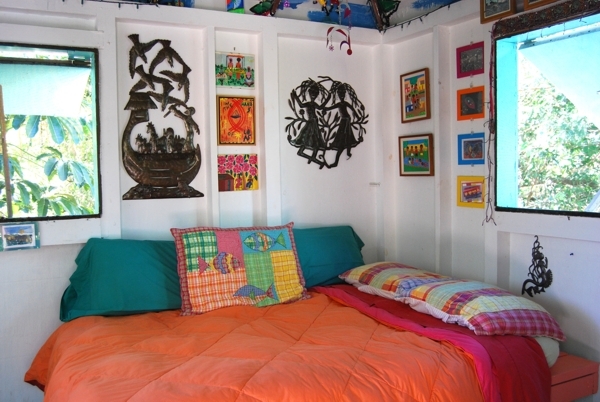 Interior features decorative wall paintings, metalwork & comfortable bed. 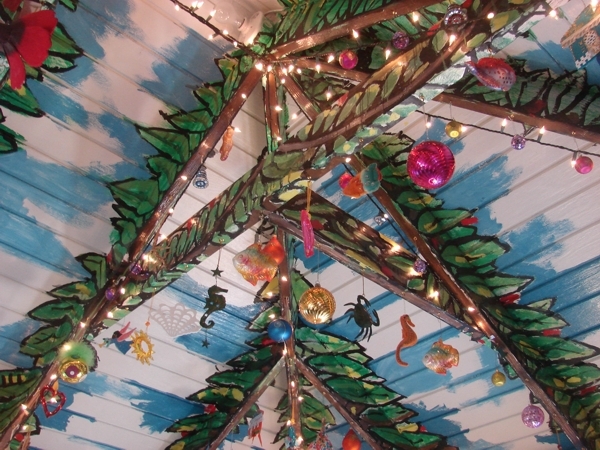 Decorative ceiling lends the Christmas Cottage its festive name. Double Bed: Firm futon on an elevated platform. Full-size refrigerator with freezer on top. Wooden deck off the front of the eco-cabin offers shade, cover from rain and outdoor dining. An extended covered deck provides added outdoor living area and enclosed bath and shower ‘room’. Reservations are secured by sending a personal check or money order to the owners via mail. Please email for address information. Deposits are refundable up to two weeks or reservation dates. Nightly stays under a week are charged at $100 per night. Linens, bath towels, and beach towels are provided. 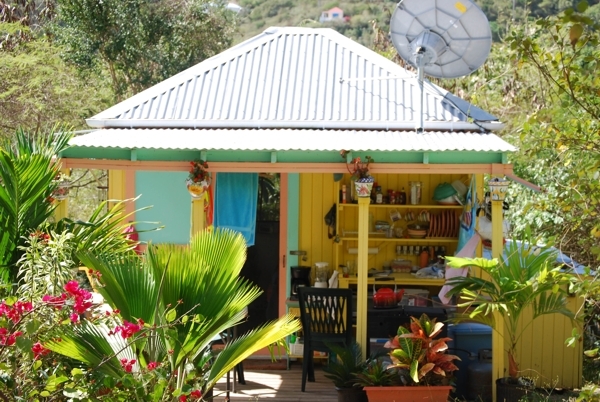 Enjoy World-Class Beaches, Hiking & Restaurants in Coral Bay, St. John.